The below statement has been made by an Hamilton’s ex-employee who has confirmed his willingness to cooperate in a potential Court case against Rothschild. For legal reasons, his name and other personal circumstances have been removed. It’s credibility can be proven by reference to other almost identical statements, promotional literature and other means of proof;there is total consistency in the “modus operandi”, names, premises on which the product was sold, alibis used by the bank to attempt to excuse any liability etc. In 2002 moved to Spain. We bought a home in Estepona and took a couple of months to settle in. I responded to an advert in the SUR in English, for FPC ( Financial Planning Certificate) qualified advisers for Hamiltons based in La Cala de Mijas. I contacted Hamiltons and met with the owner Dean Murphy and the manager Peter Hardy. The interview went well with the two individuals extolling the virtues of an IHT avoidance scheme funded by Rothschilds and the Premier Investment Company based in the Isle of Man. The basics were simply a debt in the form of a mortgage with Rothschilds was created to mitigate the amount of any inheritance on death of the property owner. 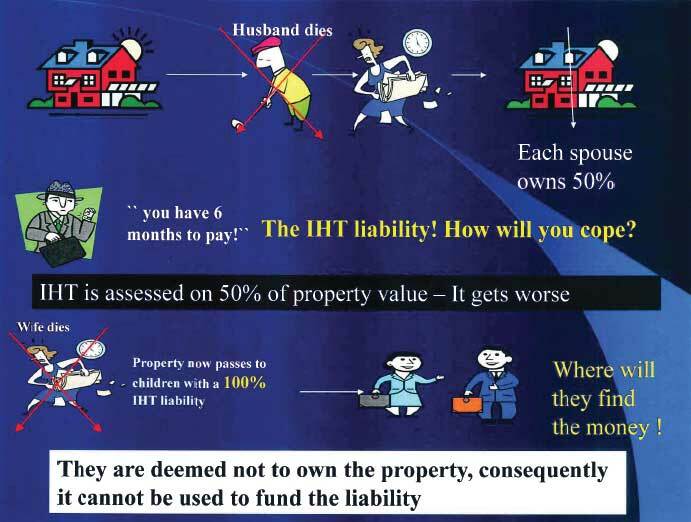 Any beneficiary would inherit the value of the asset less any debts and therefore reduce any IHT demand, which was said to be very onerous in Spain. The mortgage funds would be placed in an offshore investment fund out of the reach of the Spanish Tax authorities. The fund had an historic performance well in excess of the mortgage charge rate, so technically the investment return paid the mortgage and any surplus growth would be added to the fund or the borrower could draw down any surplus to supplement income. This was not a new Rothschilds scheme, the product has been in the Rothschilds portfolio for many years, there is mention of this scheme all over the internet dating back years. I was offered a job and required to attend a training session, which was attended by Steve Dewsnip Director Rothschilds Guernsey and Charles Walton Premier Fund managers IOM. Charles Walton was a long time friend of Dean Murphy. Dean had worked in Dubai where he operated an investment company serving ex pats who lived and worked in the tax free environment of Dubai. During this time he had met Charles Walton. I was informed that the IHT scheme had been put together by Charles Walton and he had approached Rothschilds as a funder along with Surrendalink Mortgages as an alternate funder. Charles Walton explained the scheme in detail, how the money was relased from the property by way of a mortgage and the funds would then be invested offshore outside the reach of Hacienda. THE CLIENT HAD NO CHOICE REGARDING THE INVESTMENT FUND. THE FUND WAS VETTED AND APPROVED BY ROTHSCHILDS AND THE LOAN WOULD ONLY BE GRANTED ON THE STRICT UNDERSTANDING THAT THE FUNDS WOULD BE INVESTED WITH THE FUND DICTATED BY ROTHSCHILDS. We were never given a choice of funds to pass on to clients. When the fund was changed due to poor performance, we could not sell the new fund until Rothschilds had approved the fund. HOW CAN THEY SUBSEQUENTLY CLAIM THEY DID NOT GIVE INVESTMENT ADVICE……………ABSOLUTE RUBBISH, THEY DICTATED THE FUND FROM THE OUTSET. My argument has always been that the funds were placed into experienced investor accounts in the Isle of Man, with no regard to the clients knowledge of experienced investor funds. Steve dewsnip then took over the meeting extolling the history of Rothschilds and the fact that they had survived on reputation and would not do anything to tarnish that reputation of the bank. We would never read the headline “Rothschilds evicts Spanish resident”, it just would not happen. There were at least 10 people in the training room who heard this statement, in my case I attended 3 meetings with Steve Dewsnip/ Charlie Walton where this statement was made. I will also state for the record that whilst there was several members of the sales force who were financial services experienced and qualified in the UK, there were other sales people who had no experience in Financial Services experience who were trained in house on this product. The scheme seemed genuine and was supported by opinions from Ernst & Young in Madrid and Uria & Menendez, Abogados in Madrid. We were given point of sale material which included these opinions all given to support the scheme. We were given qualified appointments, met with clients in ther home, instructed them of the IHT liability in the event of death, informed them of the scheme to mitigate IHT, signed them up and handed the paperwork into Hamiltons who sent it off to Rothschilds. Once approved we were required to meet with the clients and convey them to the lawyers in Malaga, lawyers appointed by Rothschilds, the client was given no choice ( this would not be allowed in the UK) The Notary would attend the lawyers office and Notarize the loan documents. The clients never saw any money it went from the bank straight into the investment fund. The issue in every case was the poor performance of the investment fund. With one poor choice being followed by another then another then another, none of which were in the clients control. Every time the fund crashed Hamiltons sought leave of Rothschilds to switch the fund. In the UK if you move a fund, you are paid a commission, I would think Hamiltons were earning commission time after time, switch after switch. If the funds had performed we would not now be talking. I have always maintained that the way to the table with Rothschilds is to pursue the Investment advice route. Barclays Bank were recently fined £30 million and ordered to compensate all investors who took advice on a Barclays nominated fund that had an elevated element of risk, when the client were risk averse. The clients could only invest where Rothschilds dictated, they nominated the fund, approved the fund, they must be liable for the fund performance and the current situation culminating in repossession. We welcome any further ex-Hamiltons or Ex-Henry Woods sales reps to come forward with a statement, each of which represents a nail in the coffin for the Equity Release obnoxious products. Can we really add anything to this? No, not really, it speaks for itself!